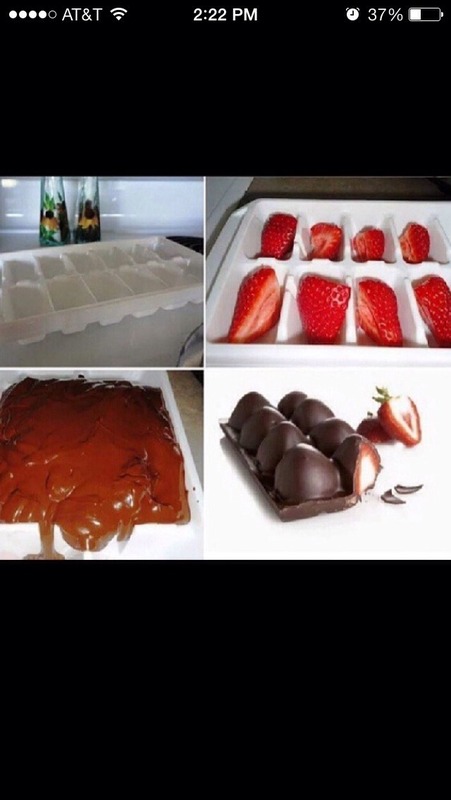 Cut Strawberries in half and place in a ice cube tray. Melt some chocolate and pour over top! Freeze about an hour, remove and enjoy!